Isaiah Cormier and his girlfriend of two-and-a-half years were camping when he was struck by lightning. She saved his life. 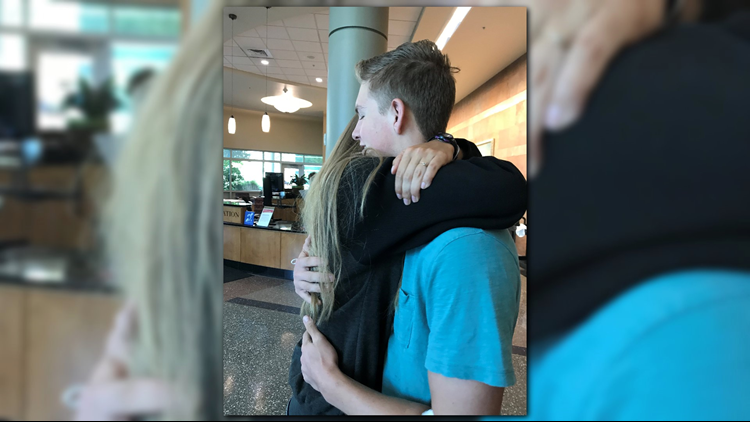 KUSA – When Isaiah Cormier introduced his girlfriend of two-and-a-half years ago on Tuesday, he could say something few people can. Cormier and his girlfriend Juliet Moore were camping in the Ruby Gulch area between Nederland and Ward in Colorado on Saturday. The 18-year-olds had just taken a day trip to Nederland and returned to a light rain at their campsite. They heard a bit of thunder, too. We started putting everything away because we didn’t want it all to get wet and stuff,” Cormier said. Moore had just taken shelter inside their tent. Moore called out to her boyfriend and stuck her head out of the tent. She saw Cormier lying face down on the ground. Moore said Cormier gasped and woke up … but stopped breathing again. 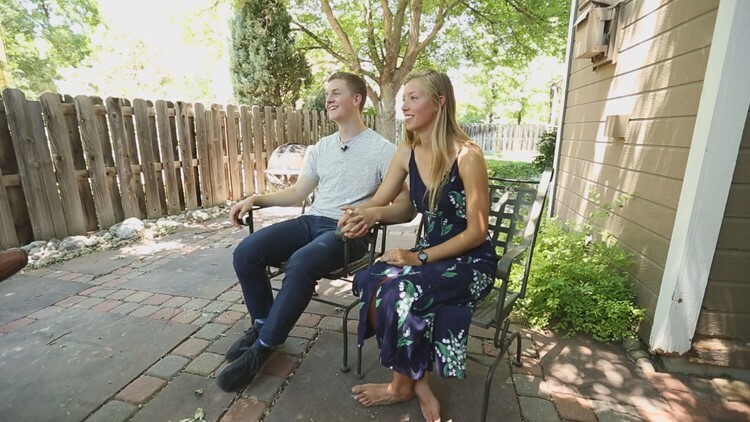 “It hurts quite a bit having someone press on your chest that hard, so the second time he woke up he started coughing which is a really, really good sign,” she said. Moore managed to get service to call 911 from the campsite. She said her cell phone only had two percent battery. A camper named Andy heard Moore’s calls for help and came sprinting up to the campsite. “Andy and his girlfriend’s son, Brady, helped me get Isaiah in the back of my car so we could meet emergency services at the Peak to Peak Highway,” Moore said. Cormier woke up in the ambulance. 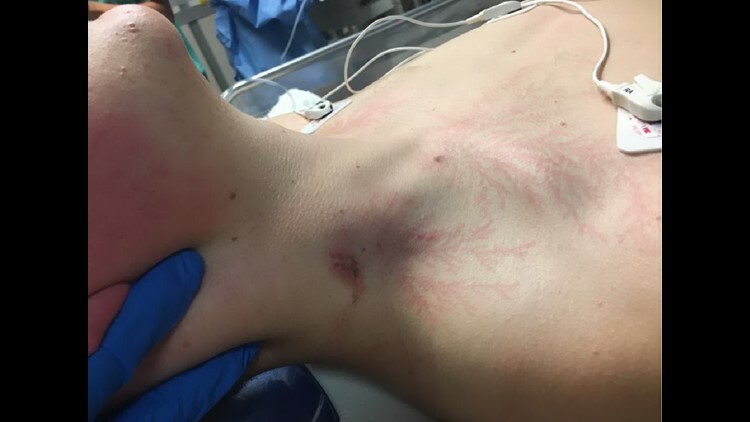 “Apparently, four or five times I asked, ‘so what happened?’ And they told me, ‘you were struck by lightning and your girlfriend resuscitated you twice.’ And every time, ‘no way!’” he said. Cormier eventually made it to the burn unit at University of Colorado Hospital. Doctors told Cormier how lucky he was to be alive. The lightning likely entered through Cormier’s neck and out his right foot. Of course, Cormier also gives credit to his girlfriend who didn’t hesitate to use the skills she’d just learned. “Saved my life,” Cormier finished his girlfriend’s sentence. Moore was released from the hospital and was feeling pretty good on Tuesday, though he admitted he was still a little sore. “All that’s left is that little dot on my neck, and then I have a really faint red line going down my chest,” he said. He and Moore said they hope their story will inspire others to take a CPR class. “We are just encouraging all of our friends and family and just our community to take that time – make the time to go and get that training,” Moore said.